Nothing beats a relaxing vacation at a fabulous all-inclusive resort. 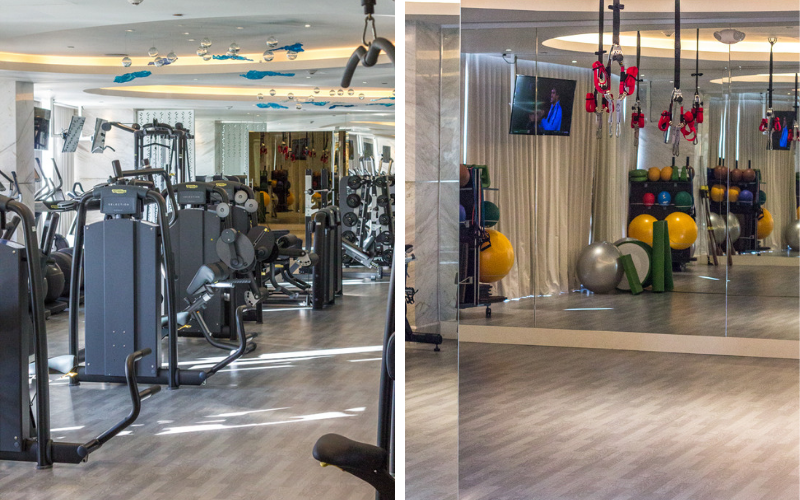 Choosing a place that has it all – a beautiful property, beach, healthy and fresh food options, plus top-notch fitness classes is possible. 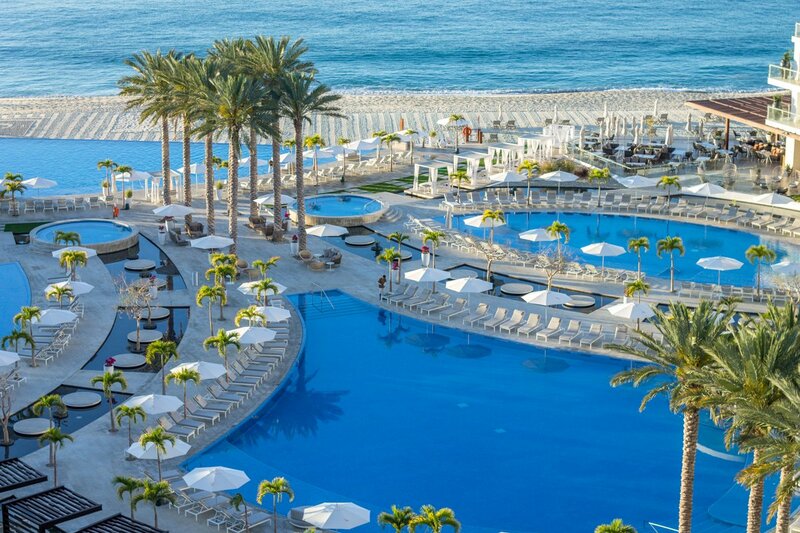 This is our Los Cabos vacation at LeBlanc Spa Resort. Ah can you sense it through your screen? Sense the recharge? Yes, I just came back from a week-long vacation and it was ah-mazing. My hubby and I hadn’t taken a vacation since before we had kids, and it was DUE TIME. And what better way to vacation than at a beautiful, all-inclusive resort (did I mention adults only?!) Yes my friends, bliss. 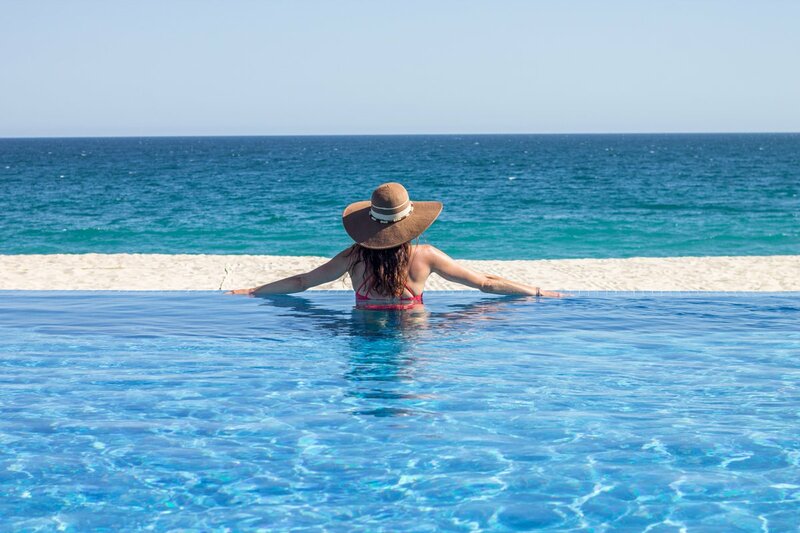 I’m so excited to share our experience at LeBlanc Spa Resort Los Cabos. Maaaaaan vacations are good for the soul. And the marriage! 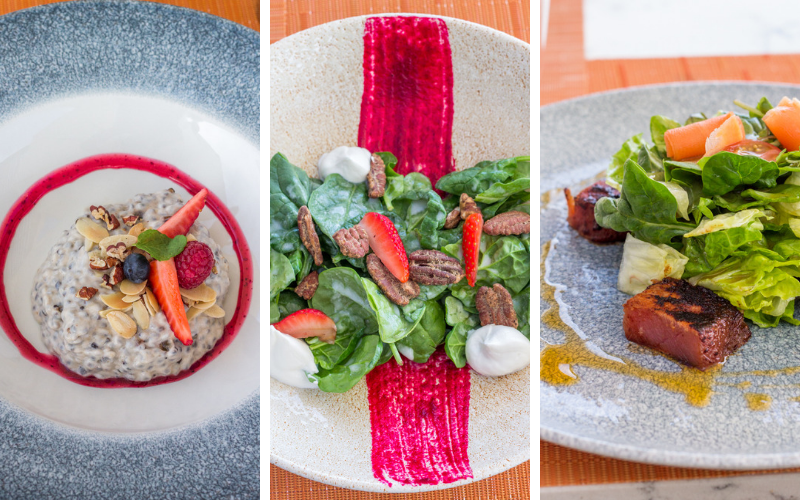 When we were looking at a place to get some good R&R, LeBlanc totally stood out because of the gorgeous amenities, delicious food, amazing service, and a place we can simply just ‘be’. When the biggest decision you have to make all day is which restaurant to eat at, THAT is a vacation! But first, allow me to show off this beautiful resort. That was the view from our balcony in the royal deluxe honeymoon room. It wasn’t uncommon for us to order room service (included in your stay) and sit on our patio, enjoying the sound of the waves and the sunshine! The view is just as beautiful at night, when they light up the pools in a soft purple/blue hue. Magical. Every inch of LeBlanc was meticulously cared for, clean, and refreshing. Four pools, two massive hot tubs, two pool bars, seven restaurants, and nightly live music is just the start. 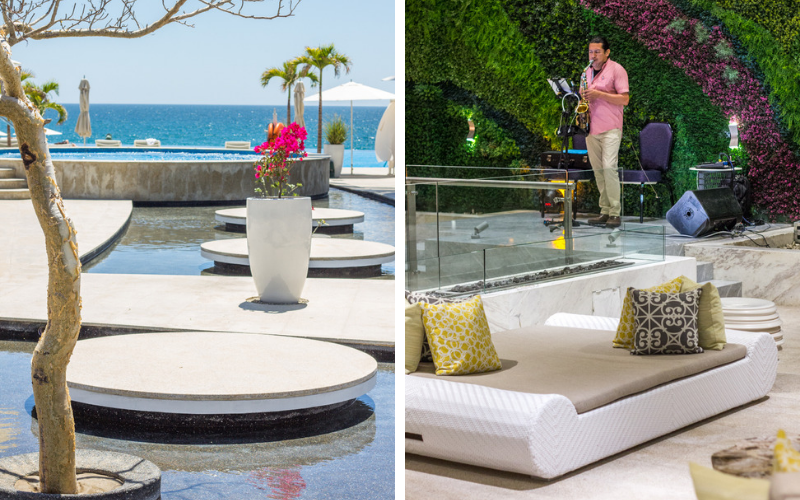 We loved hanging out by the pool, throwing frisbee on the beach, and grabbing a cocktail before dinner by the fire bar with live musicians ranging from pianists, guitarists, and the sultry saxophone. 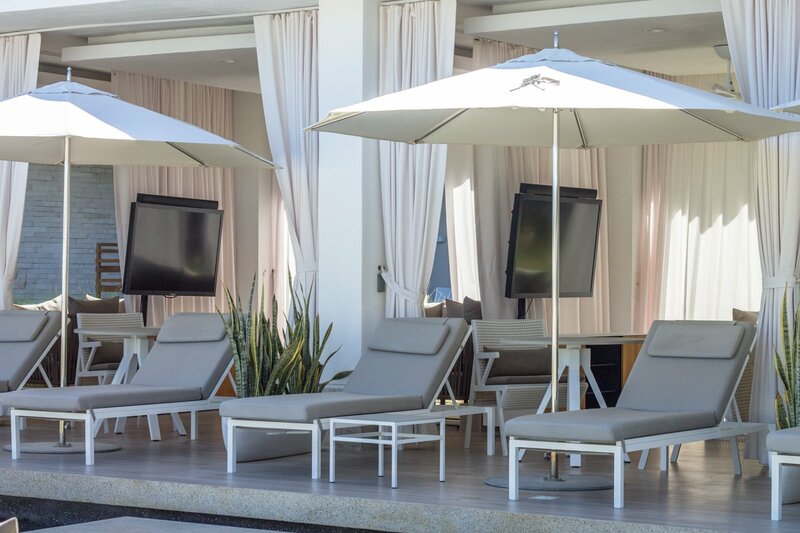 Covered cabanas with lounging chairs, tables, and TV’s meant lots of happy husbands watching March Madness games from paradise! If your hubby is anything like mine, laying under an umbrella reading a book for hours is NOT his gig. The opportunity to lay pool or beachside to relax all day is plentiful, but traveling with an antsy husband means lots of beach frisbee (holy workout) and morning trips to the gym too. LeBlanc offered a wide variety of workout classes including personal training, spin, cross training, aqua aerobics, and my favorite – aqua board. This aqua board thing….amazing. Think yoga on steroids. My core and shoulders were on fire trying to keep my stability on the floating board! But the coolest thing is that all fitness classes were friendly for ALL levels – you best believe I was rockin’ out the aqua aerobics with some 60+ friends! I also took an aqua spin class with bikes completely submerged in the pool. Some of my favorite parts of our stay were trying new activities I’d never experienced before. 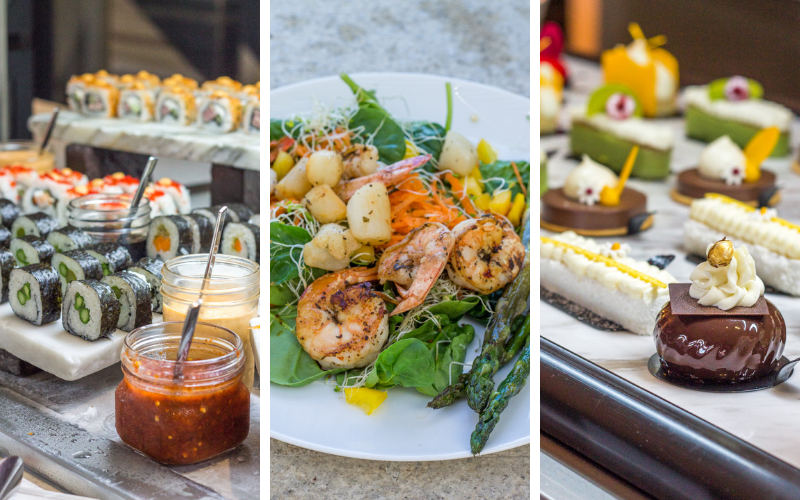 Speaking of favorite parts of our stay, let’s talk FOOD. Oh Em Gee. All the food. I was incredibly impressed that we were always asked if we had food allergies. LeBlanc truly cares about the dining experience and their guests. All seven restaurants were wonderful, including the ‘buffet’ style open for breakfast and lunch. 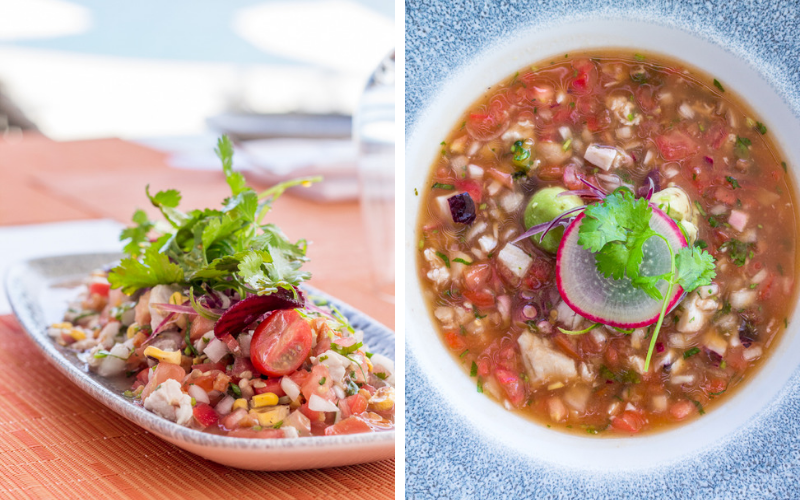 Oh, I almost forgot THE CEVICHE. So much ceviche you guys. So many options. It was my own little slice of heaven. Now let’s chat drinks. 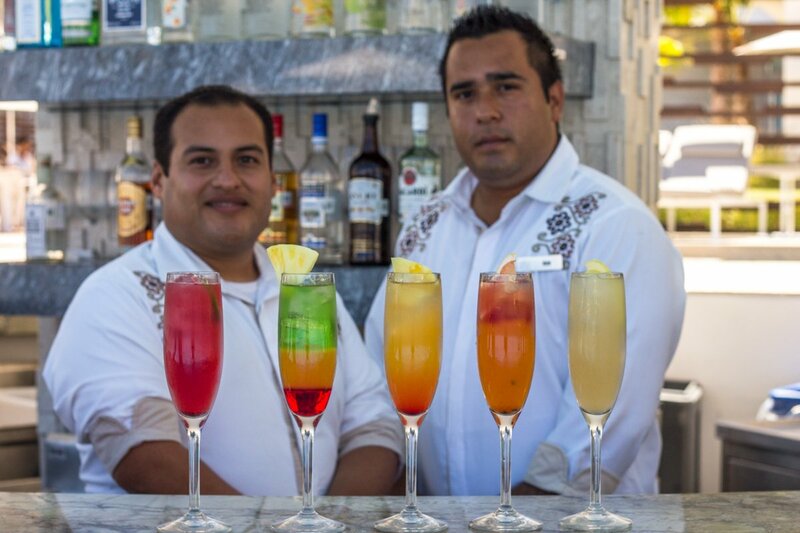 What’s a beach vacation without a refreshing cocktail right?! LeBlanc has all top-shelf spirits and they make a killer skinny margarita. 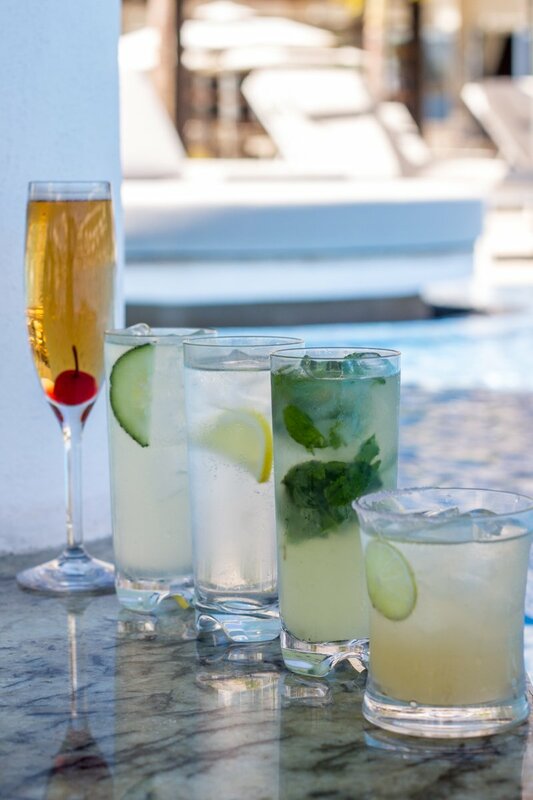 Here are a few of my favorite ‘lightened’ up drinks to order when you stay. 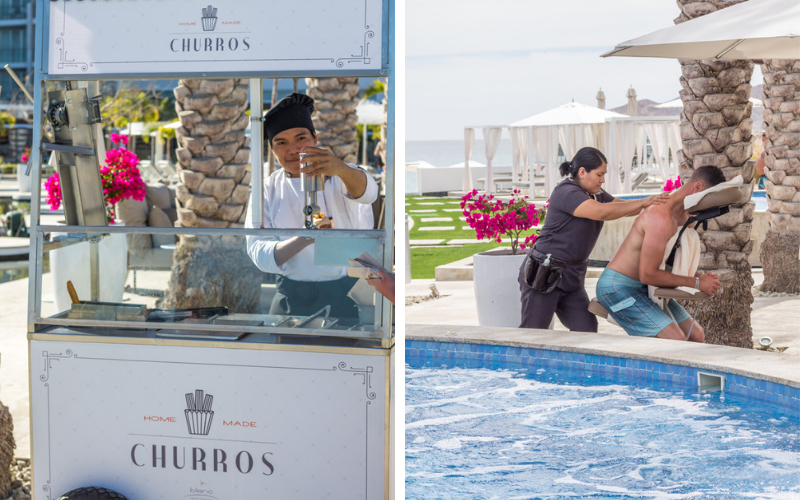 It’s definitely an adjustment getting back to reality when just a few weeks ago we were treating ourselves to the most bombtastic homemade churros (#worthit) and massages near the pool. 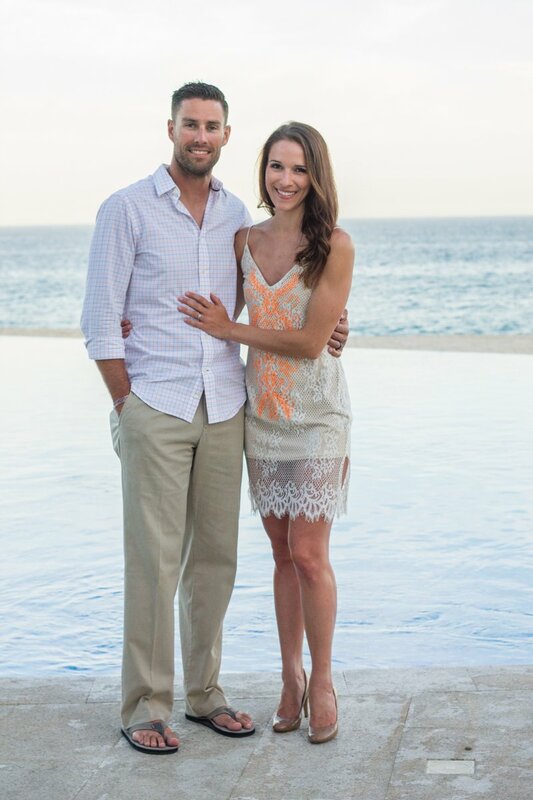 Very grateful for our Los Cabos vacation at LeBlanc Spa Resort and all the memories made. Thanks to LeBlanc for sponsoring a portion of our stay. As always, all opinions are my own. 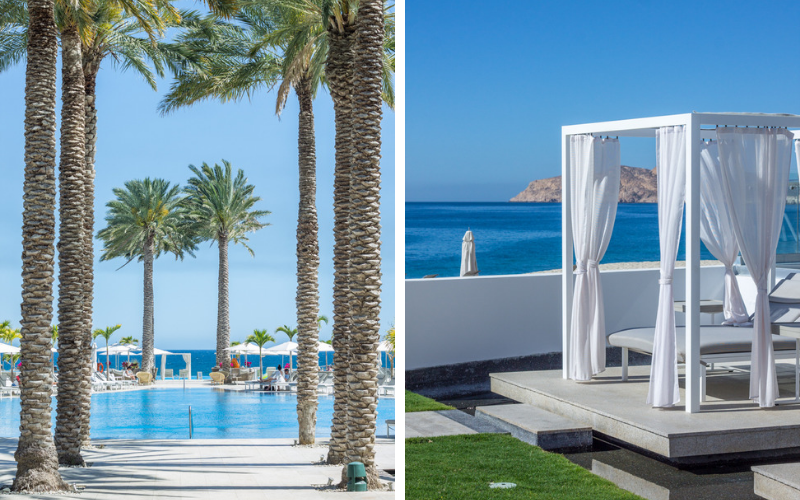 Click here to book your next vacation at LeBlanc Los Cabos!